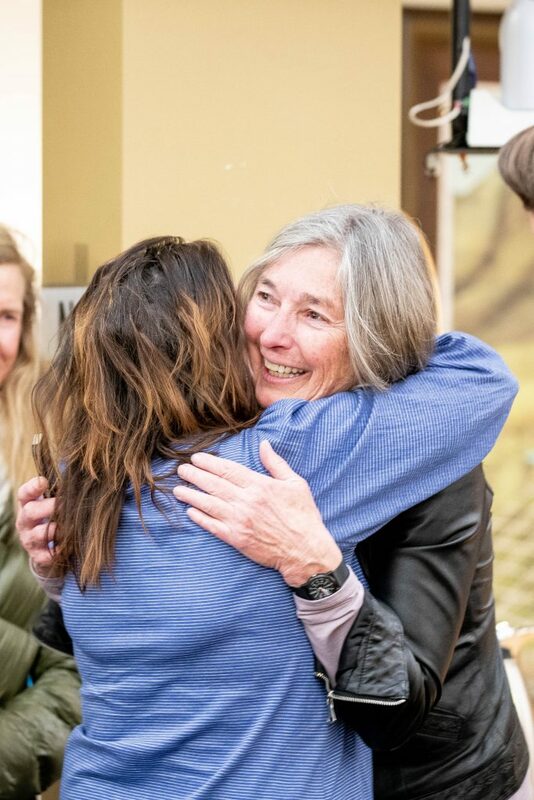 Ann Mullins, right, receives a big hug from Pitkin County Commissioner Patti Clapper after Mullins lost the runoff election for Aspen Mayor on Tuesday night in the basement of City Hall. 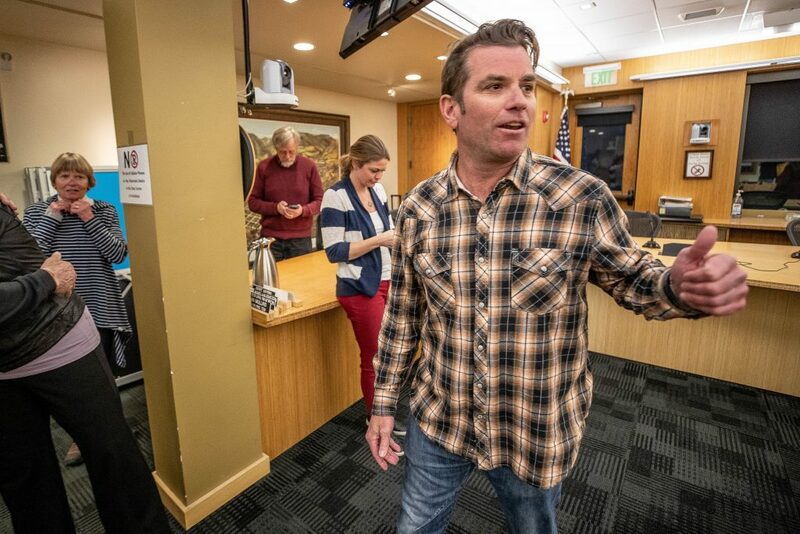 Torre gives a thumbs up in City Hall Tuesday night after winning the Aspen mayoral position from the runoff election against Ann Mullins. Torre won 1,572 votes to Mullins' 1,184 votes. 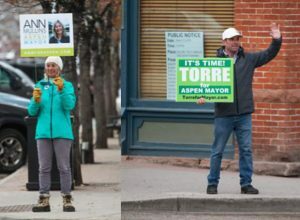 Longtime resident Torre will be the new mayor of Aspen after winning the runoff election Tuesday night against his opponent, Ann Mullins, by 343 votes. It was a 56 to 44 percent margin, with voter turnout in a city runoff election the highest it’s been in recent history. Torre received 1,527 and Mullins garnered 1,184 votes. This is the sixth attempt for the tennis instructor and local TV host to win the mayor’s seat since 2001. “I’m very happy with the support of my community,” Torre said in the basement of City Hall on Tuesday night just after the results were announced. While a total of 2,734 voters showed up to the polls, there are 23 remaining ballots that need to be cured or were left blank, according to City Clerk Linda Manning. Mullins and Torre forced a runoff after they failed to get more than 50 percent of the vote in the March 5 election. During that election, Torre beat Mullins by 341 votes, just two shy of Tuesday night’s results. Mullins currently is in the middle of her second term as a council member and will continue in that role. As Mullins watched the results come in, standing next to Torre in council chambers, there was a clear letdown on her face. If she had been elected mayor, someone would have had to fill her vacancy either by appointment or another election. Mullins’ platform centered around more affordable child care and housing, environmental initiatives and getting governance in City Hall squared away, including hiring a new city manager. Torre also stumped for tackling those issues and named specific solutions to traffic and other plans, a lot of which Mullins criticized as ill-conceived or not feasible. How the two will work together remains to be seen. Torre also will be serving with Councilman Ward Hauenstein, who he lost to in 2017 in a hotly contested runoff election. Skippy Mesirow and Rachel Richards, who won council seats in the regular March municipal election, will be sworn in along with Torre on June 10. While the council members and mayor-elect set up meetings and prepare to take office, real decisions can’t be made for more than two months. “It’s like being in the penalty box at a hockey game … you can’t do anything,” Richards joked as she left City Hall on Tuesday night. 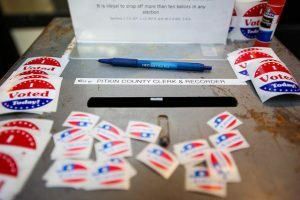 With just around 6,000 registered voters in Aspen, the turnout for the April 2 runoff was 45 percent of the electorate. 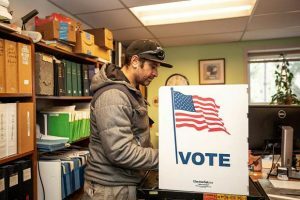 Recent history shows that voter turnout decreases between 20 percent and 25 percent in Aspen’s runoff elections. But in this April runoff election, it was roughly only 9 percent. 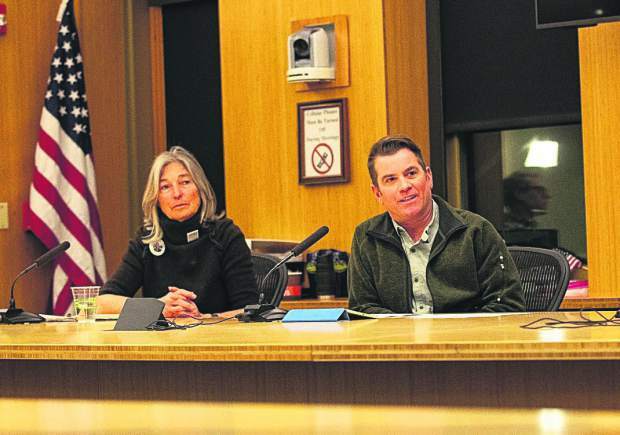 The March 5 election saw a record turnout with 3,243 people coming to the polls to elect two Aspen City Council members and a mayor and decide in favor of the controversial Lift One development proposal at the base of Aspen Mountain. A citizen referendum, led in part by Mesirow last fall, successfully changed the city’s traditional dates of the municipal and runoff elections from May and June, respectively, to March and April. The turnout for March and April elections appear to support the argument that there are more people in town to vote during the winter tourist season. The March election saw a 54 percent turnout. That’s 16 percent more than the May 2017 election. “Voter turnout was fantastic,” Torre said, adding that he plans to set up meetings as early as today with key city officials, including current Mayor Steve Skadron, who is term-limited after three two-year terms. 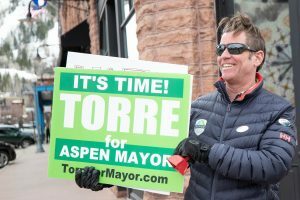 Torre also has served on council twice, with a total of eight years under his belt as an elected official in Aspen. In the March 5 election, mayoral candidate Adam Frisch came in third with 838 and fourth-place contender Cale Mitchell brought in 83 votes. It’s unclear how many of those votes went to either runoff candidate, but Frisch threw his support toward Mullins in this last contest. Throughout the campaigns for both elections, Torre raised just over $11,000 and Mullins inched over the $20,000 mark. They were out in full force in high-traffic areas Tuesday waving their signs. They also were checking voter rolls to see who hadn’t voted yet and making sure people were getting to the polls.